Japan Inc. takes the guesswork out, so that you can move in. Are you thinking of buying a home in Japan, but don't know where to start? J@panInc., over the course of the last few months, has been testing the waters and thanks largely to publisher Terrie Lloyd's exploits at finding a property himself, we've put together this guide to some of the best kept secrets to snapping up a real estate bargain. Firstly, we'll take you through the basics: what's out there, who can sell it to you and who will lend you the money, as well as the all-important list of must-haves to help you through the paperwork. And if you're looking for inspiration, we have showcased three beautifully designed homes sure to give you an appetite for construction! 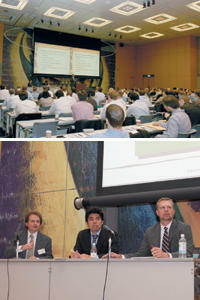 Lastly, Liz Chee will give a run down on the Yen Loans Seminar recently hosted by J@panInc. It was a huge success and provided much needed information to those wishing to buy - so much so we are organizing another event soon. Drop Liz a line if you are raring to go by the end of these pages. The last seminar was full, and places for the next one are filling fast! So, without further ado, welcome to J@panInc's guide to buying a home in Japan. Let's face it: renting is just dead money - at least, for a tenant. And while that may be fine if you are a transient international, what happens if you end up staying where you were once merely visiting? An increasing number of foreign residents are showing an interest in buying property in Japan, some because they have ended up marrying here and want to settle down, others because they see it as just a plain good investment. And while you may have thought the overly active earth beneath you is reason enough not to buy in this earthquake-prone land, consider this: Japan has one of the lowest housing interest rates in the world, and the market has most definitely bottomed out. In truth, there are many options available to foreign permanent and, surprisingly, non-permanent residents. "Despite beliefs to the contrary," writes Mark Schreiber in a "Zeitgeist" column in the Japan Times, "you don't need permanent resident status to buy, or even obtain a loan - although it helps. In fact, as long as you can come up with the funds, there's nothing stopping you from buying property in Japan on a short-term visitor's visa." You may be considering the easier option of a new mansion, or buying a piece of land and crafting the home of your dreams. Or you may even take the road less travelled and bid on a keibai bukken, a seized property from bankrupt individuals or companies. Of course, there are pitfalls and advantages to every option available. For instance, mansions are relatively easy to come by, but lose their value dramatically within the first year. Some buildings have extortionate maintenance fees as well, so you may be in for regular costs far exceeding your current rent. On the other hand, having someone to maintain your property can save you a lot of headaches, and mansions are usually a pretty good buy. Pre-fabricated houses are relatively common and easy to come by, but as is often the case, if their materials are inferior, they can lose value. In this case you would really have to have land that increases in value to make your investment worthwhile. Older houses can be wonderful, and most houses come well documented, so you have some idea of what has transpired with the house in the past. It seems, though, that designing and building your own property, while more time consuming and more expensive, has proven the most satisfying - and most people who have elected this option have seen their properties increase in value nicely. This is mainly because they are beautiful, unique and built very well, not to mention generally on bigger pieces of land. Once you decide what kind of property you are after, and of course what price range you are looking at, it is then time to decide three things: the location, realtor and lending institution that is best for you. When looking for a realtor, the most important thing is knowing what you want, and then giving yourself plenty of time to find it. There are two main options when you start looking - you can drop in to one or you can search the net. If you know someone who has bought a property in the area you wish to live in, ask about their experience. First-hand knowledge can be very helpful. If you decide to drop in on a realtor's office, first take a look at the area you want to live in. A spin on a bicycle will be enough to get you started, and will give you a better mental picture when you start wading through books of floor plans in the realtor's office. Japan is populated by a vast number of realtors, typically clustered around the side and back streets of every train station. Try to take a Japanese friend with you, or the realtor may duck for cover at the sight of you! Searching the Internet can be either really frustrating or really useful, depending on the site. Most are only in Japanese with few pictures, so go for the ones listed below, which have lots of pictures and are easy to navigate. Some even have an English-language option. Some of the best sites our publisher and his wife found were Yamate Homes, Plaza Homes, Mitsui Fudosan, Sumitomo Fudosan, and Realty Infomedia. There are no hard and fast rules to finding a good realtor, as dedicated professionals can be found in both large and small businesses. Traditionally realtors earn 6 percent commission on sales -- 3 percent each from the buyer and seller. Recently this has been changing, mainly due to aggressive developing companies buying up as much property in Tokyo as they can, and as they are reluctant to pay the seller's commission, become the sole seller. This has impacted upon the industry, with realtors wanting to sell the more upmarket properties to make their traditional income. So, if you want to buy a cheaper property, chances are you will be dealing with a developer or a small local agent. Importantly, almost every property to hit the market is listed with just about every agent covering that area. This being the case, it is probably best you go with an agent who is seasoned and keen to help you. In Japan, the land with no street names, it is fortunate that the job of a realtor is to ferry you from property to property -- if you are assigned a seasoned professional. "Unfortunately I got assigned someone quite green," wrote Terrie Lloyd of his experiences with Century 21 in Shibuya in his PII newsletter, "and although she was nice enough, we soon got lost, we got stuck in traffic, and essential details about the properties were unknown. Considering that I'd indicated an interest in a healthy price bracket, I thought they would have looked after me better. As a result, I spent the best part of the day looking at just a few properties." Terrie's wife, on the other hand, tried the Internet, and stumbled across Juken Housing, through Recruit's website. Juken has a website that is easy to use, even if you don't speak Japanese, with plenty of pictures. They were by far at the top of the list, with a knowledgeable team, who were on the ball and moved quickly to show lots of properties. In fact, while other agencies were tried, including a couple of the majors -- Mitsubishi and Sumitomo (now called Mitsubishi UFJ Fudosan Hanbai) -- according to Terrie, none could hold a candle to the Juken Housing team. If you have an aversion to realtors and would like to go it alone, then your choices are somewhat limited, but there are options. One of them is bidding on a keibai bukken. Before you think this is possibly a dastardly deed, just remember, the real estate agents have perfected acquiring these properties so they can re-sell them for huge profits, so there's no harm in beating them to it. "The whole process of keibai bukken is little known and little used by regular people looking to buy a house," writes Sam Perry in the Frugal Encyclopaedia. "You could save enough money to make your new place into your dream home." Perry explains that there is an office in every local court that deals with the auctioning of keibai bukken, and this office produces a comprehensive file on every property. The types of properties often available range from car parks to shops, in fact, any type of property that has been used as collateral. Anyone wishing to bid on the property must pay a 10 percent deposit. "The bids are sealed and read out one by one on a set date in court," Perry explains. "From there on if you are lucky enough to win and can organise a loan you can be in your new home within four to six weeks." All this sounds simple enough, but there are pitfalls. It's nearly impossible to see inside a property before purchase, and because of the circumstances of sale, some properties may suffer sabotage at the hands of their bankrupt owners before they vacate, or, in some cases, the owners haven't vacated at all. It is also best to be upfront with your lending institution if you are thinking of buying a keibai bukken, cautions Perry, as there are sometimes different lending terms for these properties, and they may approve your home loan, but not financing for renovations. Can anyone lend me a yen? When looking for the right loan for you, there are two things that you should do first: find someone with good Japanese language skills, if you are not fluent yourself, and shop around for the best terms. Possible lending institutions range from trust or retail banks to insurance companies, so it really is best to keep an open mind. Terrie Lloyd put Shinsei Bank's new housing loan under the microscope, and found the terms to be quite attractive. He spoke with Shinsei's new Head of Loan Products, Darryl Knopp, about the loan that the bank has tailored specifically for foreign residents, whether they are permanent or not. "If you can create a good enough home loan program, customers will beat a path to your door," said Knopp. Shinsei is one of a small handful of banks in Japan that are beginning to see the lucrative potential of the ex-pat community, and have created a loan aimed directly at that market. Shinsei's loan is just 1 percent interest semi-fixed over five years. Basically, on a JPY25MM loan, this equals around JPY21,000 per month, averaged out. It is "semi-fixed" because the loans are in fact pegged to the Japanese Government Bond (JGB) rate, which is currently 1.360 percent (09/20/2005.) If in the next five years from the disbursement date the JGB rate hits 3 percent or higher, the Shinsei home loan rate will rise to up to 1.9 percent p.a. Along with financial requirements, Shinsei's loan stipulates that customers use the mortgaged property as a primary residence. However, Knopp confirmed that any of your dependent family members could be the resident of the premises. This certainly makes yen-based loans a lot more flexible for international couples, or, even better, earn you a few brownie points refinancing the in-law's abode! Other banks are beginning to see the potential in the foreign resident market, such as Mizuho, who are reportedly putting more English-speaking staff into some branches, while others are still a little closed to the idea of lending to foreigners. When it comes to the complexity of paperwork, particularly in a foreign language, it helps to go with a bank that provides you with professional and experienced help, as well as competitive terms. 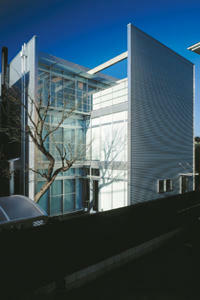 Interview with Anton Hersche and Junko Miyamoto, with George Dasic, Architect. Anton Hersche and his wife Junko Miyamoto originally looked for land outside the Yamanote line, with its wider space and greener vistas. "My dream was to sit in the bath and be able to see nature", said Anton. But after looking at over 50 pieces of land, often being shown the worst properties first by realtors, it was Junko that eventually found their land, in the same area they were already in, complete with a large Momiji, or Japanese maple, tree. Anton, who has lived in Tokyo since 1989, said securing the loan was not difficult because he was working for a bank. "It gives you a lot of credit to get a loan with a Japanese bank." Of course, having a high and steady income, having been in Japan for a long time and being married to a Japanese national also weighed heavily in his favour. Anton maintains that the language issue could be the most challenging aspect to the loan application. "It's a very frustrating process...my Service Agent was my wife! I don't know what I signed. Maybe the land is all in her name!" Junko laughingly adds, "You have to trust me!" The loan they secured was 1.68 percent for the first three years with Mizuho Bank, with Anton adding that, "the first three years is always the best rate. Japan has one of the lowest rates in the world, so it's well worth going through the effort." Anton already had George Dasic in mind as their architect, and together they negotiated with six or seven contracting firms before deciding on Meiho Facility Works, who traded off a higher quote for the project's strategic value to their firm -- also where a good architect can come in handy! George suggests that for a good quality house the price per tsubo would be approximately JPY1 million, taking into account features such as floor heating and other fixtures. For Anton and Junko's house there were extra challenges. As it is an open plan design, it needed specific engineering to be seismically sound. Working with a reasonable budget ensured that the quality of products used in construction would also add to the safety of the house, as well as reduce future need for repairs. And then there is what Anton calls "the most expensive cat room in the world," complete with floor heating and air-conditioning, as well as the special requirements set out for the whole house by a feng shui expert -- all adding to the challenge for George. George and Anton have some sound advice for anyone who would walk in their footsteps: leave yourself plenty of time. Don't rush your negotiations, and be aware that plans sometimes have to be revised. George added, "In the end there were adjustments, but it's important to know what the parameters are, what are the important things, what things you keep alive in the big picture." Interview with Paul and Yoko LaValla and Rick Skorick - architect. Paul LaValla, a New York native, is still entranced by the design of his home, five years on. "The living room is really amazing because there're all different kinds of shadows, so when the sun comes in the light moves around, and it's different in the winter and summer. There's a lot of hidden charm to it". While Paul, a Group Controller for State Street Bank and Trust who has lived in Japan for 19 years, may see his house as home first and equity investment second, there is no doubt that the property has increased in value, partly due to a recently built subway. When looking for land, Paul and Yoko chose Ms. Yoshimi Wakui, from a self-owned yugenkaisha, "With", who, the couple say, was dedicated in helping them find what they wanted. Once they did, Paul explains, "you've got a month to come up with financing...or they sell it to someone else...I think it must have been something like late November we found the land and it was the beginning of January the next year that we finalized it." The couple chose Chuo Mitsui Bank, a trust bank, and it's a decision they say they're still happy with, mainly because of the loan officer assigned to their case. "[T]he guy was an expert," Paul explained. "He really helped me put [the loan] together...your deposit is like a time bomb, you've got to be able to say, 'yeah, I have financing'." The loan was fixed at 3.25 percent for 10 years, five years floating. Getting approval was made easier by the fact that Paul and Yoko had been paying off a mansion. "I think that helped because we had a precedent of having loans, making payments, so that was a good step." They had to sign separate loans for the land and the house. Additionally, they had to sign an interim housing loan before the house was complete, as technically the bank could not lend them money for a house that did not exist. Paul said that having a loan officer that knew what they were doing made all the difference in this process. Fortunately, they only had to sign one contract for each loan, rather than the usual three that most homebuyers have to sign, making the paper work much easier. The house was designed by architect Rick Skorick AIA, and built by his Japanese partner, Mr. Yuichi Honda, who owns U-Architecture Works Inc. They hired a talented team of builders, including a moonlighting temple builder from Kyushu, who built the balconies. "Honda-san is the kind of person who takes personal pride in what he's building; we see evidence of it all over the house." While they had to make a few compromises along the way, the LaValla family are happy with their choice to build. As Paul said, "I think that charm and beauty is something that is underrated." The Balson family took their time in finding the right piece of land - almost three years, in fact. It was a matter of waiting until the right piece of land came along, with a good location and enough space on which to build their home. "We were looking for a house around 100-120 million yen, and we thought if we pay this much, we'd better buy land and build a house in our own style rather than a ready-made." They did consider buying a mansion for the same price, but the expenses can be extremely high, with maintenance sometimes running up to JPY100,000 per month if you are in the city. At the time of purchase, the market, said Mr. Balson*, was hitting the bottom. Closing for the fiscal year, the estate agencies were also keen to make a profit. Eventually they bought a 40-tsubo (132m/sq) piece of land in Seijo-Gajuen for JPY 60 million, but they were aware that, when you finally do find the land you want, you do not have time to wait, or it will go to someone else. "It was really hard to find a piece of land this spacious with this price," say the Balsons, with Mrs Balson adding that she had to pour all of her energy into finding the right property, much like a full-time job. All up, the Balsons say they looked at over 100 properties with three major realtors, in the end going through one that only charged the 3 percent seller's commission, saving them the normal 3 percent buyers commission. As for securing a loan, Mr. Balson says he had the advantage of being a regular taxpayer and a permanent resident. The loan, which was signed with Tokyo Mitsubishi Bank, was approved within one month, instead of the standard three months for foreigners, at a fixed rate of 1 percent for the first three years, signing separate loans for the land and house. Since December 2001, it is common that Tokyo Mitsubishi Bank loans of this type have floating rates for the remainder of the term. The couple chose architect Rick Skorick AIA, to design the house, as they felt he could best help them realize their vision for a house with a lot of space. "On designing the house," explained Mr Balson, "we first asked a Japanese architect, but he was more accustomed to a Japanese style, which is about separating a place in grids...[with Rick], I can describe what I want in detail, in English, and he was accompanied by his Japanese partner who was re-sponsible for constructing the house." The Balsons found that building your house with a small but dedicated company ensures you get quality workmanship. "As for our case, our architect-builder assigned a father and son building team to be present throughout the process...whereas big construction companies only mechanically order their subcontractors to do the work." *The Balson's first names have been withheld for privacy reasons. In Japan, with the number of international marriages increasing, along with an upward trend in permanent work contracts, more foreign residents are becoming attracted to the kind of permanence only a piece of real estate can provide. The desire to get away from rental properties among many foreign residents has been evident in the growing interest shown in the Japan Inc. PII newsletters; so, Japan Inc. decided to put together a round table seminar, titled "Yen Mortgages for Local Properties". In just two weeks the event was fully booked with 190 sign ups and another 30 people on the waiting list, which seems to reflect the current rise in the interest many foreigners are showing in the Japanese property market. The banks also appear to be taking notice of this recent trend, with a few specifically designing and marketing loans for foreigners. Head of Loan Products for Shinsei Bank, Darryl Knopp, gave a keynote presentation on "Shinsei Bank Housing Loan for Non-Permanent Residents". The bank's 1 percent housing loans for permanent and non-permanent residents have been causing a stir among foreign residents here in Japan, owing to their availability to non-permanent residents. Also giving a presentation was Hiro Senaga, Section Chief of Sales & Rentals from Plaza Homes, with his talk on "What you really have to understand before buying a property in Japan". Because many people showed an interest in overseas markets, Chris Cleary, Director of Banner Japan, kindly agreed to do a presentation on "Financing Private Residential Property Purchases for expatriates in Japan". A total of 160 people attended the event. In a survey conducted on the day, an overwhelming majority indicated that they would attend future events with sponsors of new products and services associated with yen mortgages and housing for foreigners. Of those who attended, over 40 percent said they were interested in local properties, while 58 percent showed interest in both the local and overseas markets. In addition, 60 percent requested information on properties for investment, commercial pro-perty loans and mortgages for investment purposes. Finally, 91 percent of the audience indicated an interest in the offerings of major Japanese banks, and even some regional banks, realtors and tax advisors. Japan Inc. has been actively contacting providers, and is keen to put together another seminar on financing and real estate in the near future. We advise you to stay on top of our website and newsletters for upcoming events. A big thank you to all of you who attended, and our apologies to those who missed out due to limited seating. I am a SOFA status American citizen living and working in Japan and want to buy a house. I can get a loan but only if I have a VISA or residency status...I cannot get this being an American government employee; is there a way around this? Please advise. Eager to buy a home. Try shinsei,new city mortgage, or GE Money. I am moving to japan and want to purchase property in Niseko/Hirafu. I noted your article about the Shinsea bank saying that you needed to reside in the premises. I don't intend to reside in the premises. I intended to negative gear the property. Do you know if this is possible or who I may speak to and find out how this is achievable? Nice article on buying property in Japan. In regards to finance you should contact either ANZ or the Commenwealth Bank of Australia, they both do ex-pat loans in Japan for Australians at very low interest rates, and from my understanding of the situation you dont have to live in the premises either. From my experiece in buying and selling property in the Niseko area I would recommend these guys for Japan real estate. I have had some really bad and expensive experiences with the others. Hiya, Do not use Australian banks, unless you wish to throw away your money, they are the lowest of the low and will bleed you dry.. Try Lloyds, they gave us such a great deal compared to the big Aussie three. Hi Paul, I recently bought a place in Niseko from a development group called Above+Beyond. Have a look at www.aboveandbeyondresorts.com/niseko or email them at info@aboveandbeyondresorts.com. The developer is based out of HK and have a great project about a minute drive from Hirafu. There's hardly any ski in ski out property in Niseko, unless you pay a premium so the distance from the village and lifts isn't so much of an issue. They put me in touch with Commonwealth Bank of Australia in Tokyo and I managed to get pre-approval for 50% financing on the property purchase which is drawn down on completion of the property (unfortunately I don't get to move in until winter 2010/11). I live in Hong Kong and am not Japanese or Australian. Comm Bank will basically lend to any foreigners who reside in a country where they have a branch presence. Your Post - "Buying Property in Niseko"
I saw your article and would like to ask how it all worked out. I am an Australian wanting to do the same thing. My worst nightmare is getting stung in a country where I have little understanding of the system. I'd probably want to borrow local to avoid negative exchange rate movements. Is this possible? Any other hints. Thanks. Not sure how much this will help but try contacting Ridgerunner, which is a property development and real estate company based in Niseko. They should know what you will be required to do and they will be able to help find the property. I live in FL. I am Japanese. Trying to sell the land in Fukuoka, Japan. Do you know anybody interested??? Where is the land? I am interested. I live and work in Fukuoka and am looking for a good site to develop for my family and business. Fukuoka city or ken maybe OK depending on location. I have family in Florida too. If that is what you mean by FL? To the people that have commented about Niseko, it is a very good property market to get into if you like an investment you can use for a few weeks snow holiday a year. I did the rounds of the real estate agents and so called development companies last season and it was hard to take some of them serious; some of the their offices are demountable boxes like you find on temporary building sites. It gives you the feeling that if you hand over money, when you walk out the door they will close the doors and do the run to the next town. I ended up going with going with Niseko Real Estate, they seemed like they have been established in the area for a while and they had a real office! They took the time over several months to find the type of property that I wanted, not just what they wanted to try and off load quickly or sell what they are developing. I highly recommend them to anyone looking at buying Japan real estate as an investment. Probably start with a non-commercial entity like Niseko Property, lots of good independent advice and observations if you're planning on diving into the Niseko market. And before you buy, you definitely had better ask what the people in Kutchan think, those guys are almost TOO WILLING to divulge the real deal, when it comes to trends and happening in Niseko. Check out FusedWorld they have some property's from Japan on there. Basically it is an international real estate advertising portal that connects property seekers and buyers world-wide. We facilitate listing and advertising of any type of property anywhere in the world, whether it be luxurious villas, simple bungalows, houses, flats, condos, apartments, vacation properties, timeshares, offices, or even land parcels. For independent advice and other services in Niseko, I found Niseko Consulting to be excellent. Reasonable rates, great advice with a good knowledge of the area and development/building laws. They worked hard for us during a settlement without taking all our money! I think they even have some listings. I have lived in Japan now for over 3 yrs. I am a profetional in the equestrian business and would really like to set up a small holding with a few ponies to teach kids in Japan to ride, also so that its inexpensive. My husband is Japanese and we`ve just had our second daughter, so i`m now looking for some cheap land to improve our family life in Yokkaichi. Could anyone held me to find some cheap grassy land nr here and make my dream come true? One of my friends told me that there is a company called "Mizushima Co. Japan Foreclosed Properties" managed by Akiyama who helped him in gettting a practical bidding amount and now he got the property from Nagano for a very cheap price. Oh my, I think the housing market in Japan is on a decline now, due to the tragedy happened on March 11, 2011. This was devastating and its sad to see Japan have 1/10 of their island gone. I really love and appreciate the work that Yuta Tabose, the former NBA professional basketball player from Suns, for his community work after the tragedy. His very hard working at the moment hoping to make an impart to bring life back to those who have been affected by this. It has been some time since I wrote this article, and I thought I would share my own blog with you - we are now building down in Kyushu, and if any of you are curious, I started this blog as a document of our progress. I hope that something in it might prove useful (it's not a professional blog, by the way, just my ramblings, so don't mind that!). We signed to build around the time of the tsunami, and we felt so bad for people who gone through all the planning stages that we had - going to all of the housing companies, learning about materials, how to read plans, thinking and re-thinking the design - only to have everything wiped out. I remember one shot from the news which showed a brand new house that had just been uprooted and dumped. My heart went out to them, and to everyone that not only lost their houses, but their homes and the loved ones that filled them. We wondered whether or not it would be right to build now - so many people need houses, and we questioned whether we would be taking resources from them. I still don't know the answer to that, but in the end, we decided that, should everyone stop their plans, stop building their lives, the country might grind to a halt. So, in our small way, we hope that keeping on helps everyone keep on. I wish you all the best of luck with your housing or property plans, and I hope you enjoy the blog. All the best and thank you to everyone for all the comments on this story and your contributions! Thanks a lot for sharing us about this update. I had look at your link to the new blog and i found the pics very nice. Hope you're new house is soon ready. owning a mansion...what happens after the loan is repaid? I have been asking around the issue of what is the expected life span of a concrete mansion building and how does owning a flat benefit over renting? No one has a straight answer. We own our mansion in an urban town in Hiroshima prefecture. It's a 10-story concrete building. It was 15 years old when we got in and we have a 30-year loan. In theory, the building will be 45 years old when we pay it off. 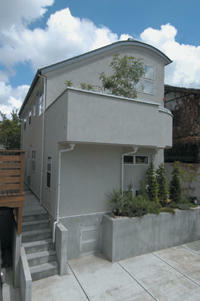 What is the building code say for concrete buildings in Japan? How long can we expect to live in our place after the loan is paid off before it is torn down and rebuilt? Is there any value to our ownership after the building is torn down? Since we don't own any "land" (only concrete), is there any value if we decide to sell if the building is town down? What will a buyer buy? I suppose a new building will be built to replace the old one. Do we have to take out a new loan to live there? Is there a benefit to owning versus renting? I finally got a straight answer from a lawyer who deals with land issues. Owning a mansion flat entitles the owner partial ownership of the land the mansion sits on. For example, each owner of a 10-unit mansion owns 10% of the land the mansion sits on. This is just a rough example. So, if the mansion was demolished, there is value in the land itself. I also heard that you have to be careful not to buy a mansion that is on leased land because that means you won't actually own any part of the land and if the lease runs out and it's decided not to continue, you're SOL! 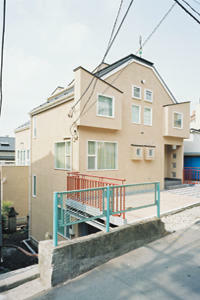 I am looking to buy a landed house in farmland/rural area between Osaka and Kobe as a vacation house for non-residents. Any advice please?